Fortune’s 2018 100 “Best Companies to Work For” list includes one Yellowhammer State company — Baker Donelson headquartered in Birmingham, Ala.
Now in its 20th year, the prestigious list recognizes companies with exceptional workplace cultures. Fortune surveyed millions of employees measuring six components — values, innovation, financial growth, leadership effectiveness, maximizing human potential, and trust — to curate the annual list. “A great workplace “is one where employees trust the people they work with, have pride in the work they do, and enjoy the people they work with,” Great Place to Work CEO Michael Bush and vice president Sarah Lewis-Kulin wrote in Fortune. As one of the 60 largest law firms in the U.S., Baker Donelson employs 1,484 U.S. employees across 22 offices. 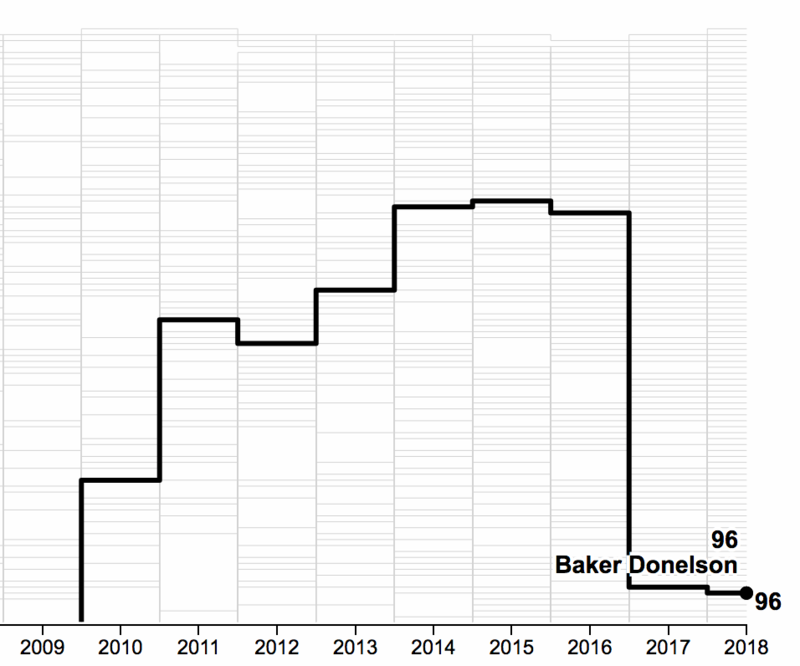 In naming Baker Donelson to the list, Fortune highlighted employees’ trust in the firm’s management and the transparency of the firm’s leadership. The firm has made the list for nine consecutive years, ranking the highest at no. 30 in 2015.